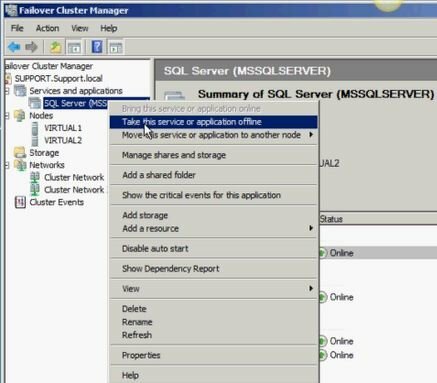 Add the third node into the SQL Server cluster for failover. 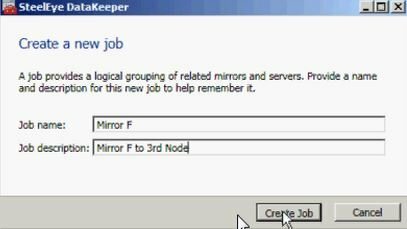 The following example details the steps necessary to extend a SQL Server cluster resource group from a 2-node cluster to a third node via DataKeeper. Remove physical disk resource from WSFC. 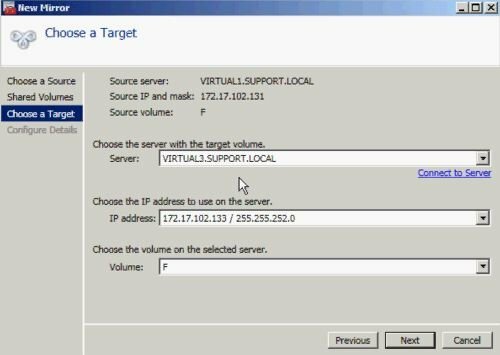 a. Offline the SQL Server cluster resource group by right-clicking and selecting Take this service or application offline. b. 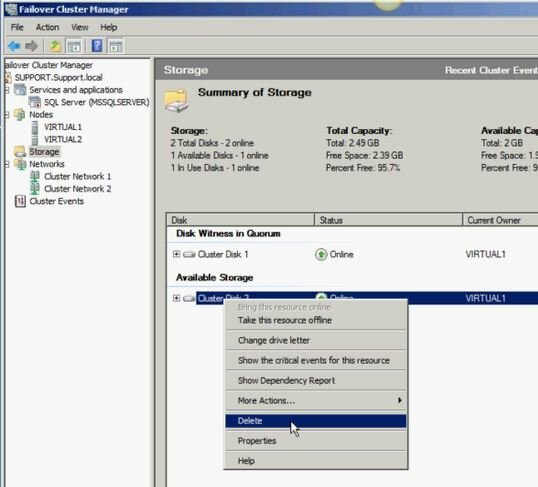 Remove the physical disk from the SQL Server cluster resource group (moves to Available Storage). 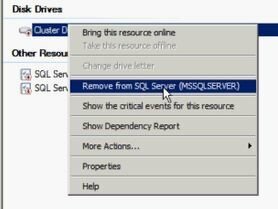 c. Remove the physical disk resource from the SQL Server cluster configuration by deleting the resource from the Available Storage group. 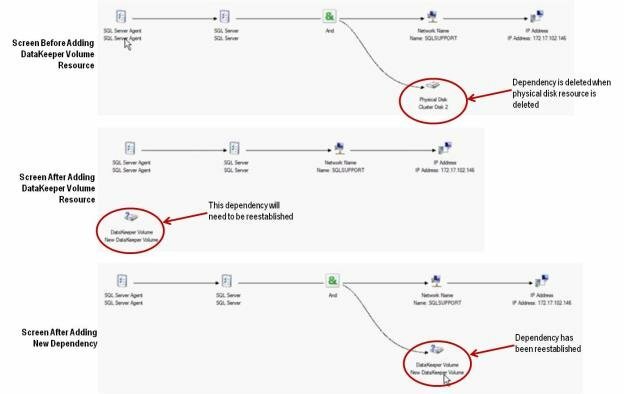 Because there will now be a third node in a remote site, the Disk Witness in Quorum is no longer valid; therefore, the Node Majority configuration should be selected. a. Online the physical disk. b. 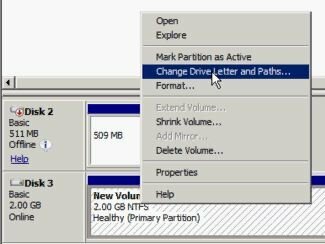 Change the drive letter to match the previous SQL Server configuration (if needed). g. The Summary screen will appear indicating that the node was added successfully. A Warning may appear on this screen because SQL Server has not yet been installed on the third node. This installation will be performed in the next step. 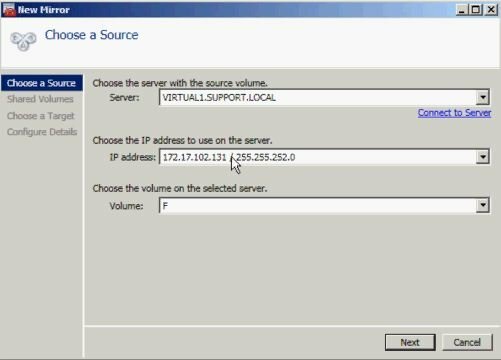 Install SQL Server on the third node. b. 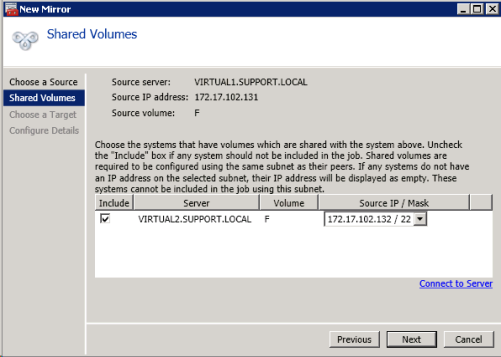 On Setup Support Rules screen, select Okay. c. When prompted, enter Product Key and select Next. d. Accept License Terms and select Next. e. On the Setup Support Files screen, select Install. f. The Setup Support Rules screen will appear. Review the System Configuration Check Report for any failures, then select Next. 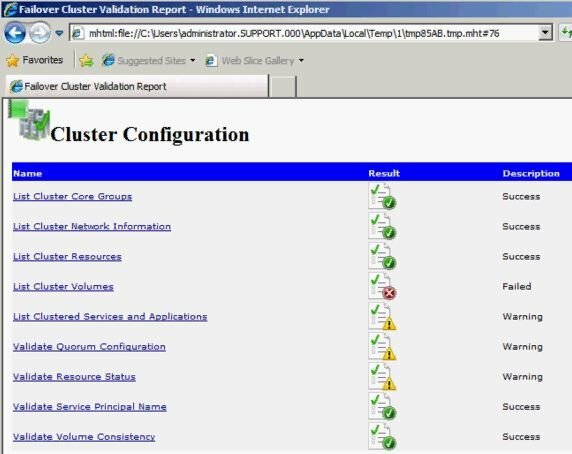 g. Select Next when the Cluster Node Configuration screen appears. 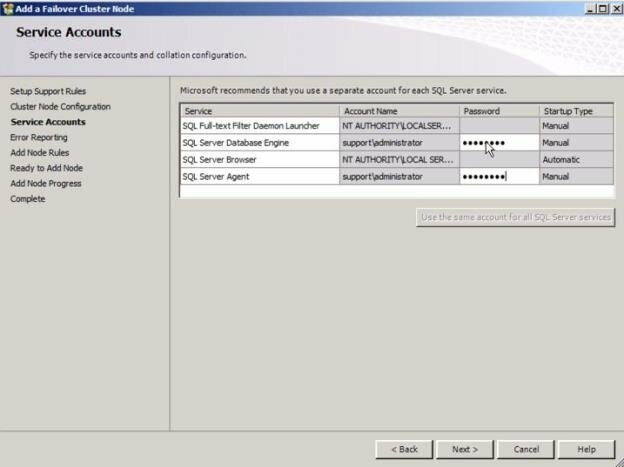 h. On the Service Accounts screen, enter Passwords for SQL Server services based on setup of the first nodes. Select Next. i. When the Error Reporting screen appears, select Next. j. When the Add Node Rules screen appears, select Next. k. Once the Ready to Add Node screen appears, select Install. l. The Complete screen will appear notifying that the Failover Cluster Add Node operation is complete. Select Close. 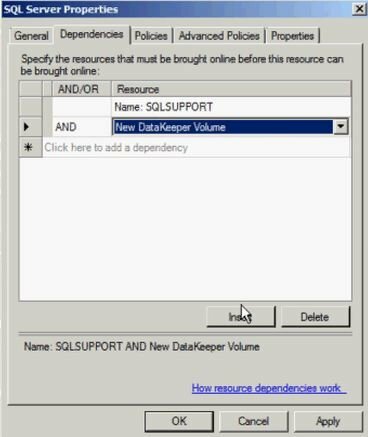 The final step is to reestablish any/all resource dependencies between the SQL Server service resource and the new DataKeeper volume resource. a .Right-click the application resource and select Properties. Dependencies should now be reestablished. The Dependency Report may be viewed again to make sure.